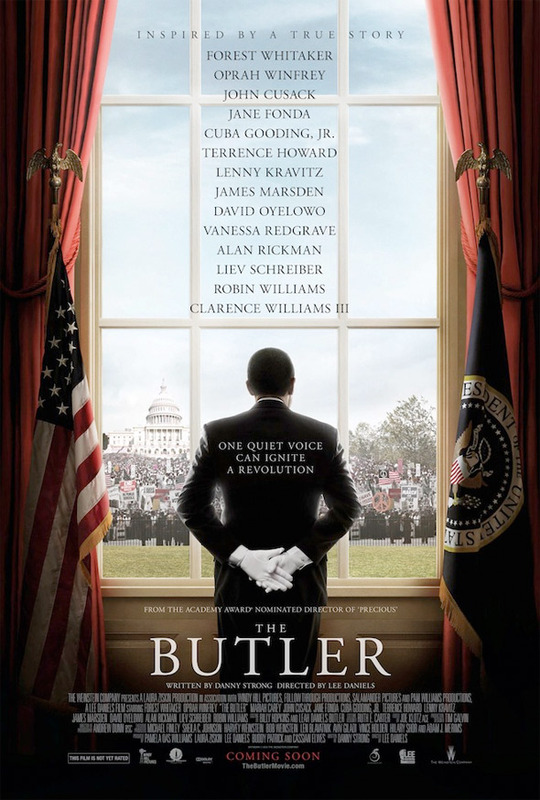 I have great regards for director Lee Daniels (“Precious”), which pains me to say that I found “The Butler” incredibly uneven. It has many good attributes, including a superior performance by Oscar winner Forest Whitaker as the title role, but the movie itself seems to run out of gas at some point. The story was inspired by an article about a man named Eugene Allen, who served as a butler at the White House for over 30 years and who lived long enough to see the historic election of president Obama in 2008. In Lee Daniel’s movie, they call him Cecil Gaines and when we first meet him, he’s a southern boy whose mother is raped and his father murdered in cold blood by the son of a plantation owner. Later on he is taught to serve white folks and eventually he earns a place in the White House years later, serving seven U.S presidents. The weight of the movie naturally falls on Whitaker and Oprah Winfrey (who plays his wife), and they come through well enough. The costuming, makeup, and production design are impeccable and the film offers juicy roles to a number of talented actors, including Alan Rickman, Jane Fonda, Vanessa Redgrave, Terrence Howard, Robin Williams, John Cusack and Cuba Gooding Jr. How then, to sum up this long, often tiring biopic? I would call it a mixed bag, with some memorable passages followed by dull stretches. These shortcomings don’t seem to bother some critics and viewers, judging by their positive reaction to the film. I wish they didn’t bother me as much as they do, but I can’t help thinking how much better and stronger the film could have been. Too bad.